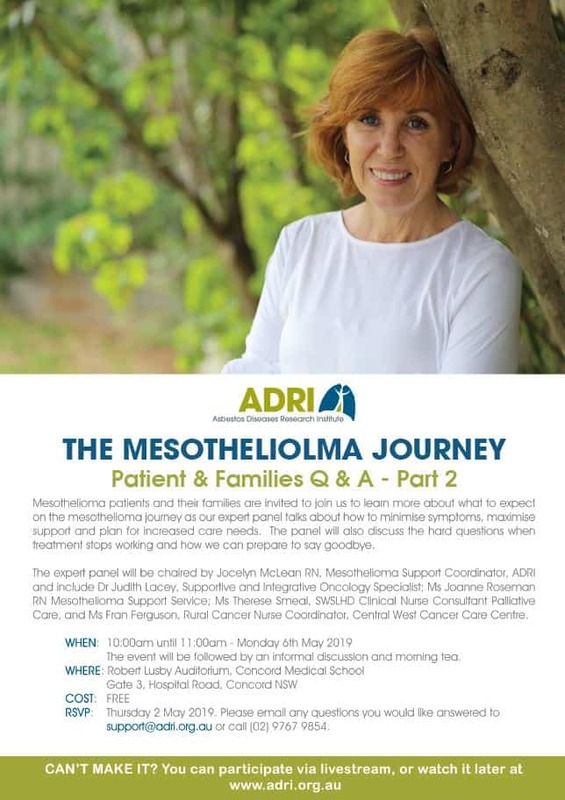 Ms Jocelyn McLean and Ms Joanne Roseman are ADRI’s Mesothelioma Support Coordinators, addressing the needs of patients with malignant mesothelioma and supporting their families. At ADRI Jocelyn and Joanne utilise their knowledge and experience of patient care and supporting carers; drawing from personal experience, current survivorship research and carer need research to provide telephone, face-to-face and group meeting support. 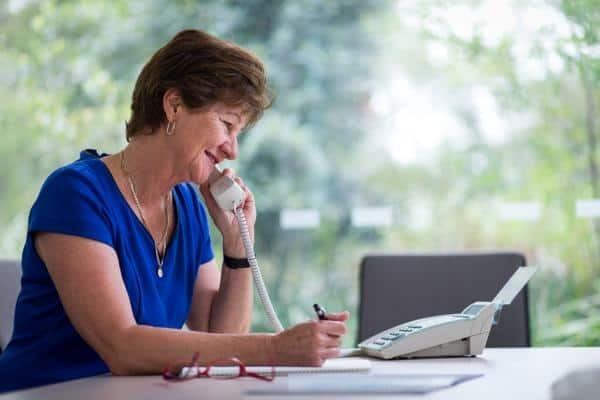 Jocelyn and Joanne work with established professional agencies, health professionals and local communities across NSW to provide current evidence-based clinical information and support. Jocelyn has many years’ experience caring for patients following surgery for lung cancer and mesothelioma at Royal Prince Alfred Hospital. Jocelyn developed a ‘well living support programme’ for survivors and carers, and co-authored, with Professor Brian McCaughan, a book entitled: ‘Diagnosis & Treatment: The Journey of a Patient with Malignant Pleural Mesothelioma’. 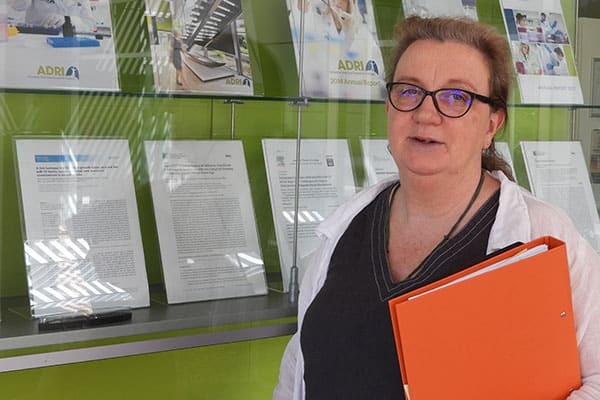 She also contributed to the development of evidence based Guidelines for the Diagnosis and Treatment of Malignant Pleural Mesothelioma published by ADRI in 2013 and the Understanding Mesothelioma. A guide for people with cancer, their families and friends published by Cancer Council Australia in 2017. Joanne is a registered nurse with extensive experience caring for people of all ages and walks of life. She has worked in a chemotherapy unit and in critical care, as well as having a strong background in community health caring for people with chronic and complex diseases, and those requiring supportive care. Joanne has supported family members with chronic and life-limiting illnesses and so understands the impact this can have on patients, carers and loved ones. She is an ardent supporter of The Groundswell Project and Compassionate Communities, and is currently undertaking post graduate studies in palliative care. Why RWC: It is accessible to those folk in western, southern and eastern Sydney. Currently this group meets every second month for patients and carers. Currently this group meets three times a year. Currently this group meets on a needs basis. Please contact Jocelyn or Joanne (02 97679854 or support@adri.org.au ) if you would like to attend and we will connect you to our notification list. A panel discussion about Part 2 of a mesothelioma journey: when treatment stops working, how to minimize symptoms, maximise support and have difficult conversations around early end of life. The Q&A Part 1 was an opportunity for patients, families and health professionals to meet with a panel of 12 mesothelioma experts to discuss the latest treatments, symptom management and living with dignity. The 2-hour session can be viewed by clicking here. Have you just been diagnosed with malignant mesothelioma? 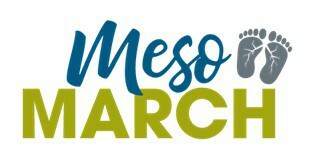 Are you a carer for someone with malignant mesothelioma? Are you living with malignant mesothelioma?